The U.S. Congressional Caucus on Maternity Care, a coalition of members of Congress serving in the U.S. House of Representatives, invited the Preeclampsia Foundation to participate in a meeting to help set the Caucus’ agenda in the upcoming congressional session (2017-2018). 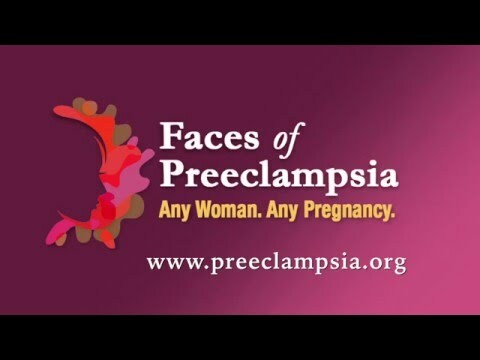 As one of 15 national stakeholder organizations present, the Preeclampsia Foundation shared the importance of focusing on issues that will allow for continued innovation to develop new treatments and cures for preeclampsia, and reduce the risk of maternal mortality and severe morbidity in the United States. The Caucus is led by Congresswomen Jaime Herrera Beutler (R-WA) and Lucille Roybal-Allard (D-CA), both of whom are long-term supporters of the Preeclampsia Foundation’s goals and responsible for the establishment of May being designated on the national health calendar as Preeclampsia Awareness Month. Congressional caucuses serve as a forum for interested Members of Congress to advocate for and advance issues. Caucuses can be instrumental in helping to advance legislative efforts. The primary goal for the Congressional Caucus on Maternity Care is to ensure the best evidence about safe and effective maternal care for all mothers and babies is a natural priority. The goal of the stakeholder planning meeting was to identify issues affecting maternal and postpartum health that transcend bipartisan interests and to discuss strategies for ensuring these issues are addressed by the incoming Congress and President-elect Trump’s Administration. Attendees agreed with the Preeclampsia Foundation that a must-address issue is the shockingly high maternal mortality and morbidity rates in the United States. Other topics of interest to the Foundation’s work included ensuring access to health care services for pregnant and post-partum women, including resources to identify and manage post-partum depression; developing quality care metrics within health care settings to improve maternal health outcomes; and boosting investments at the National Institutes of Health (NIH) to encourage research into issues that transcend women’s health, such preeclampsia’s link to long-term cardiovascular risk. In 2017-2018, the Congressional Caucus on Maternity Care is expected to host several congressional briefings on maternal health issues to raise awareness. The Foundation’s continued engagement with the caucus will provide an opportunity to advance our legislation efforts, which will kick into high gear in 2017.